We love trains, from the moment Lucas wakes up and until the moment he goes to sleep trains aren’t far off the menu! 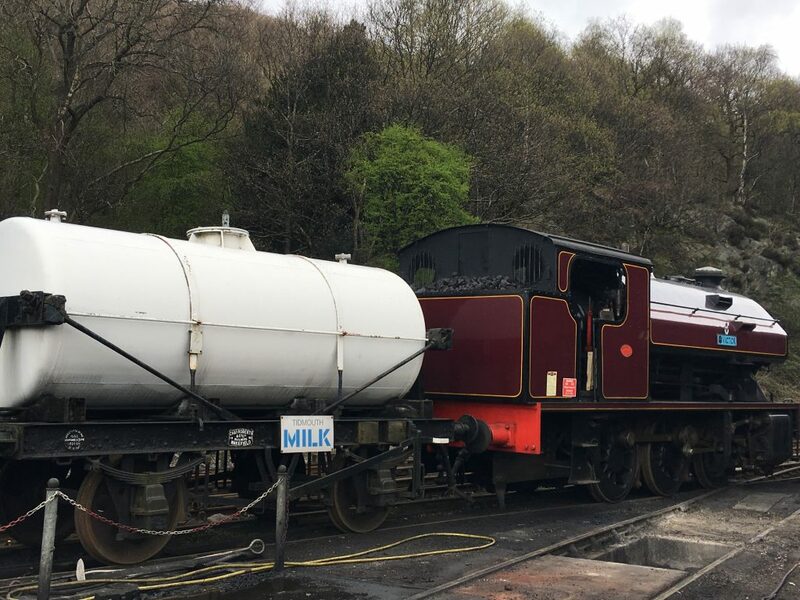 What better way to spend an afternoon when visiting Windermere than to visit Haverthwaite Railway. 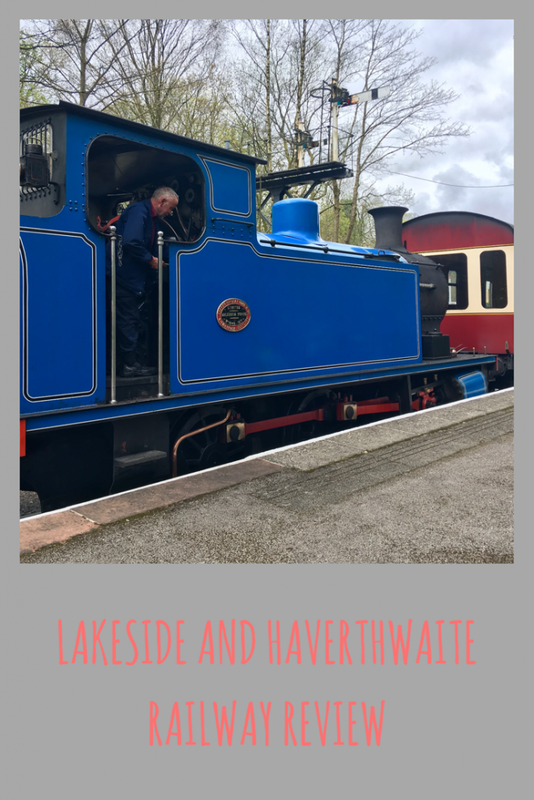 We took the boat across from Lakeside Pier and sailed across on a lovely spring afternoon across to Haverthwaite Railway situated in the picturesque Leven Valley which took around 40 minutes. The station is accessible from other piers on Windermere and has useful links to public transport and ample parking. There is a picnic area or tea room once you arrive so you can enjoy a bite to eat mid-way through the journey. 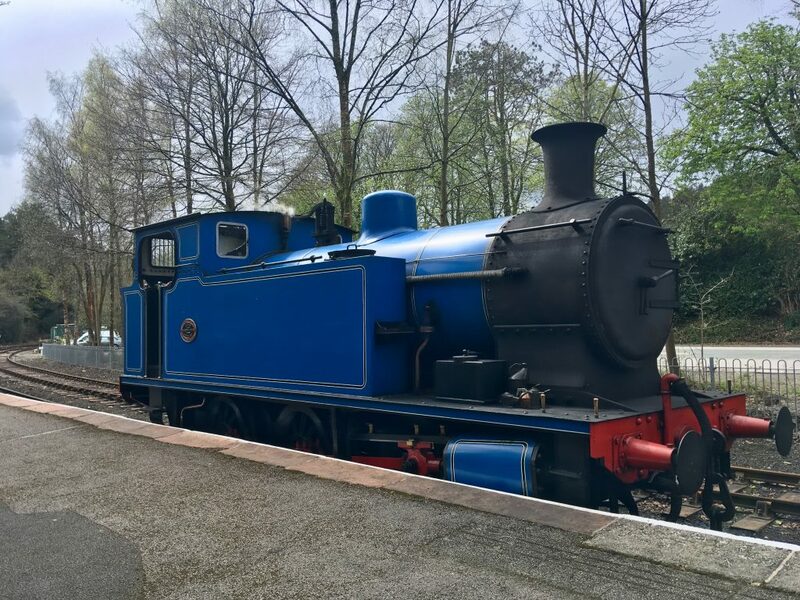 Upon arriving at Haverthwaite, Lucas was ecstatic as ready and waiting was an engine to take us on our journey complete with many carriages that resembled Annie and Clarabelle off Thomas and Friends. The branch line runs 3.2 miles long and was opened on 1 June 1869 and closed in September 1965 for passengers and all traffic two years later. The re-opening on the 2nd May 1973, was a proud day for the Society members who had worked so hard to repair and restore the railway to the necessary operating standards and for the Company’s directors, its shareholders and friends it was a dream realised. The Right Reverend Eric Treacy, LLD, Bishop of Wakefield cut cut the tape linking the lake steamer to locomotive 42085, which was at the head of the inaugural special train, together with its sister engine 42073 En-route to Haverthwaite a stop was made at Newby Bridge Halt, where the Bishop planted a copper beech tree to commemorate the beginning of a new life. We took to our comfy seats in our old wonderful preserved carriages and steamed ahead as the conductor came to punch our tickets. As we made our journey a gentleman gave us an informative talk over the tannoy on the branch lines history and more importantly for Lucas what trains operated and awaited us at the engine shed. The scenery along the route is breath-taking with rolling countryside and hills it was lovely to see the lambs bucking and playing in the fields. There is a stop off at Newby Bridge for those wanting to go and explore but we continued onto the main station. It was great to hear the engine in full flow and the steam bellowing past the window occasionally and of course you can’t beat the darkness of a couple of tunnels! On the approach we saw Diesel, Victor and other engines related to Thomas and Friends and this way before we had even been to the engine shed. Once at the station we disembarked and made our way to the engine shed but only after we had a picture taken we two splendid engines situated in the car park. We then entered the engine shed and here you get a real sense of the labour of love that goes into running this line. 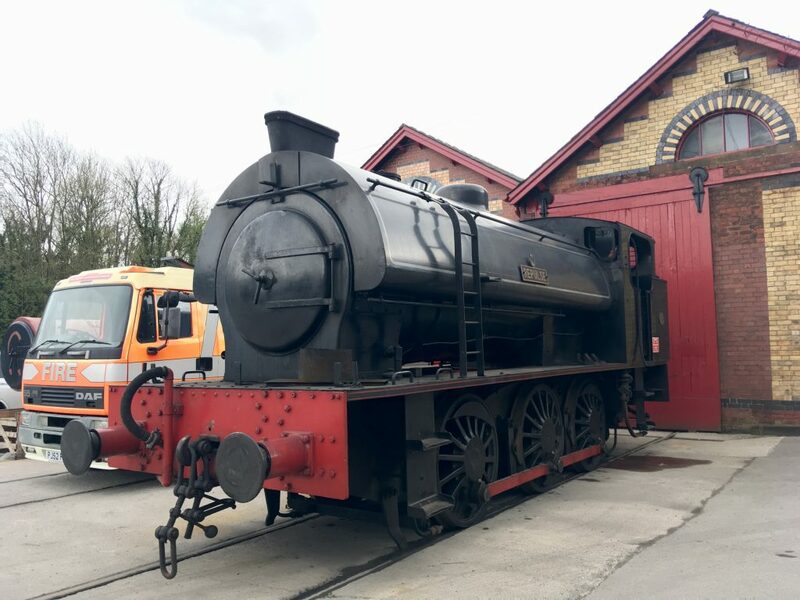 There is a fantastic array of engines, steam, diesels, locomotives and cranes each one you can relate to a Thomas character, there are so many here that volunteers restore and maintain for our enjoyment. Outside there are many different vintage vehicles and carriages that are fascinating to look at to see how things have changed. There is a gift shop that had lots of the stations memorabilia relating to his past and present and we thoroughly enjoyed looking around as well as Thomas and Friends merchandise. Once finished in the gift shop we felt a little peckish so decided to visit the tea room for a much-needed hot chocolate and bite to eat. The tea room was lovely inside and reasonably priced and it is lovely to hear the train pulling up outside and excited children getting off. Once finished we only had 5 minutes to wait before our train pulled and we boarded to head back through the stunning scenery to our ferry after a great afternoon out. What a fabulous time spent at Haverthwaite Railway. I know for certain that both my kids would love heading to Windemere too as they love trains. We have done a few but will check this out the next time. Oh this looks lovely, I adore steam trains, there’s something so evocative about them, really bringing about the feelings of yesteryear. I would love to take my kids. 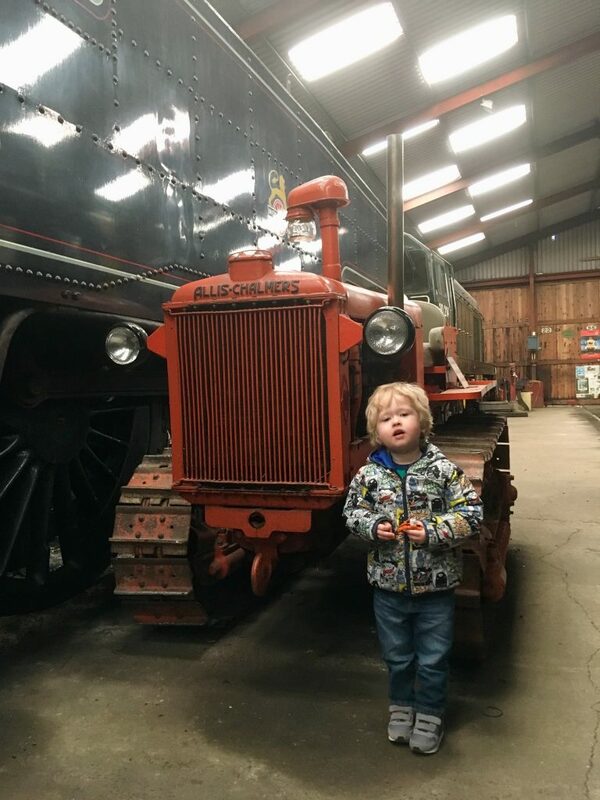 I grew up next to an old steam trains museum and because my parents worked for the train company I got many chances to visit and play around inside the locomotives. It’s indeed an amazing experience and I’m sure your son was over to moon to ride on a steam train, especially that trains are his passion. My three year old would absolutely love this, it’s a while since we’ve been up to the Lakes too so I think we’ll have to put it on our “to visit” list. I love trains – especially steam trains and this looks like a great place to take the kids. That looks like a perfect place to visit with our kids. I will surely put this on my bucket lists. I’m just waiting to my son’s grow up. I love steam trains – there’s just something so quintessentially British about them – and this looks like such a fab day out for the whole family! Oh this looks like fun! My little boy would love it! Looks like a fun day out. I’m sure any kid would be thrilled to see a steam train.